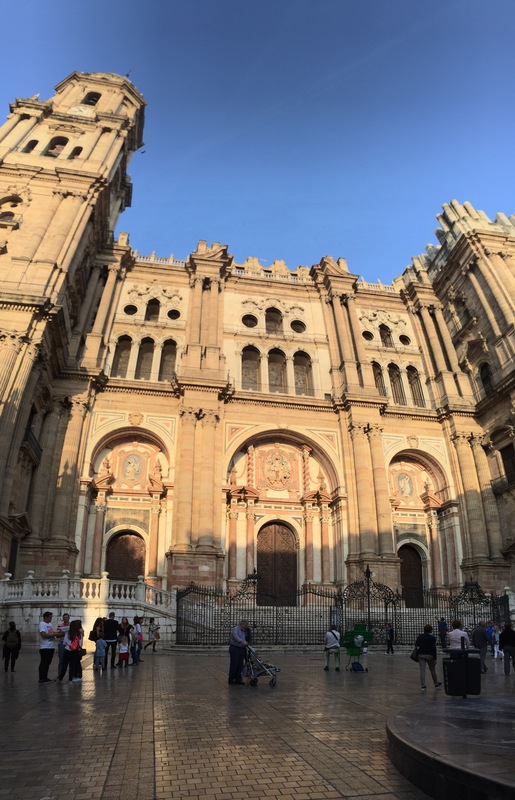 21 hours of travel on Sunday/Monday landed me in Málaga late Monday afternoon. About half of us on the Paris-Málaga flight were missing checked bags. My friend, Sara, waited outside the secure area while I filed a report with a description. Later I received a standard email asking for details on everything I had in the suitcase. They’ve got to be kidding. 🙄 I’ll attempt that Tuesday if they can’t locate the bag and I need to actually start replacing items using the travel insurance policy I carry for emergencies. After changing into some of my friend’s clothes, we ventured out to have dinner and enjoy walking around her city. 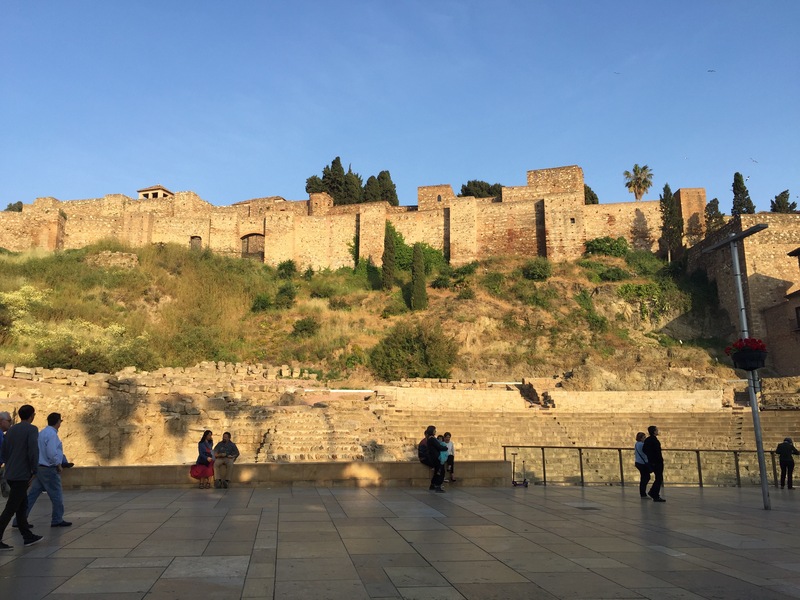 Málaga is a fantastic city, dating back 2800 years. There are Roman ruins and a palace just down the street from my friend’s house. I can already tell I will need to come back and bring Terry who would love the history. Last week before Easter, the city had processions with different churches carrying symbolic through the city. We got to see several. This tradition has gone on for 5 centuries and really something to see. 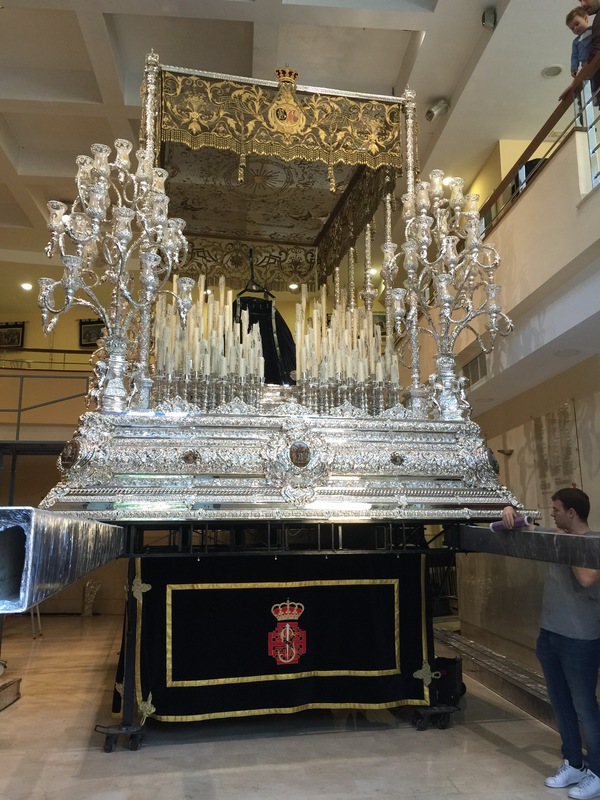 One of the many processional thrones carried through the streets of Málaga last week. These can weigh thousands of pounds. Palace walls. We will take an elevator to the top and slowly walk downhill. 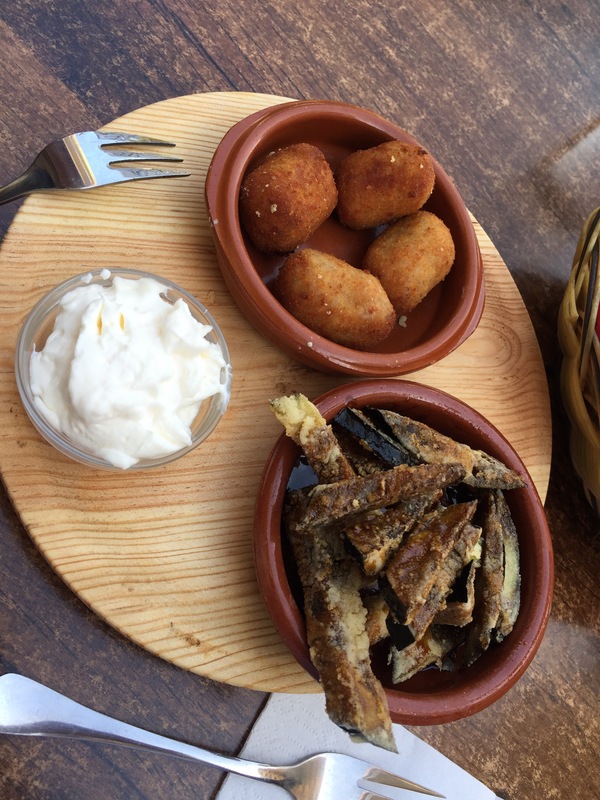 Tapas, round 1. Didn’t photograph round 2 but hit the jackpot and found a delicious hole in the wall. These were croquettes and eggplant with a honey glaze. 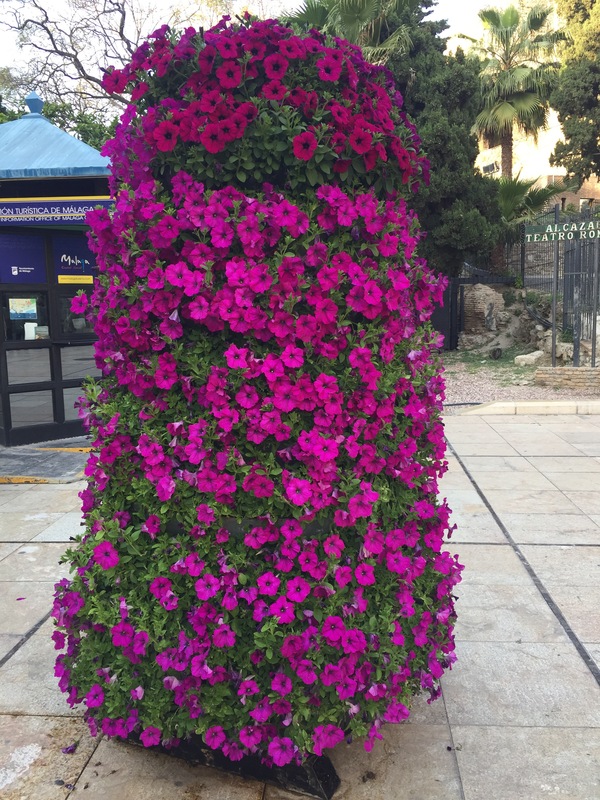 My favorite thing about Europe is the abundance of fresh flowers. This was about 6′ tall. Sounds fantastic! Hope your luggage turns up soon. I hope you have luggage by now! Man, I know what it’s like to not have your luggage!! Happened to me in Germany!!! Hope you get it soon. The city looks beautiful!!! Have fun!! !